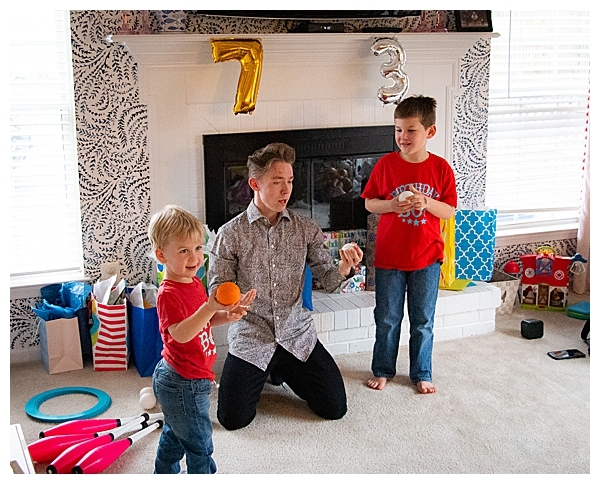 One of the perks of having a parent as an event planner is that you get some pretty sweet birthday parties. 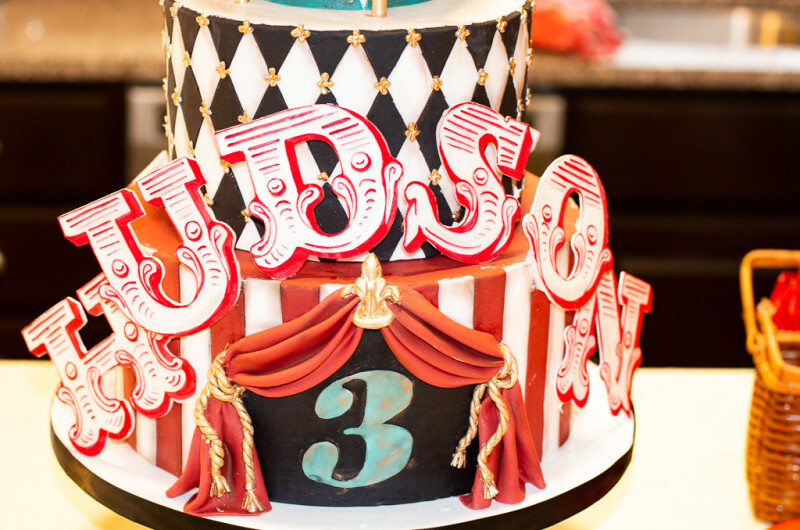 Hudson and Jackson’s mom Tabitha owns DC-based event planning company Roberts & Co. as well as the popular DC wedding blog United With Love. 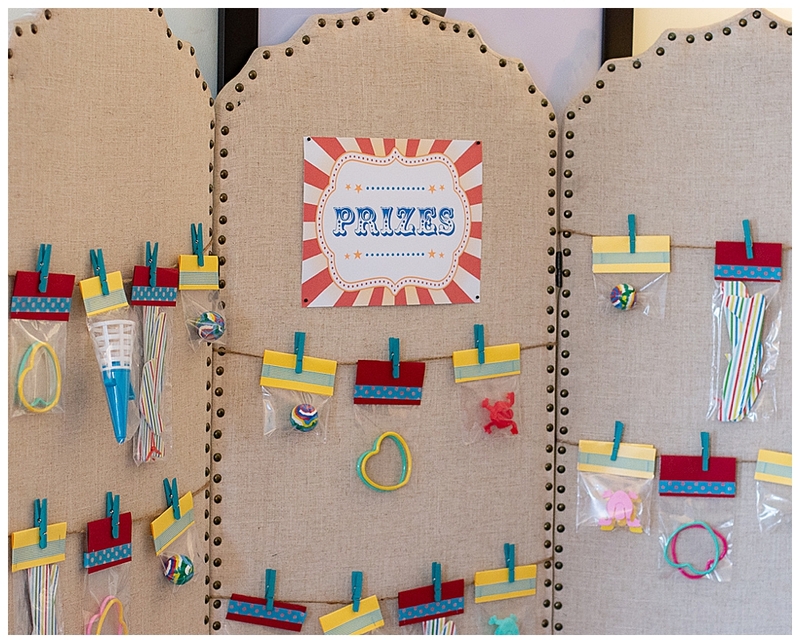 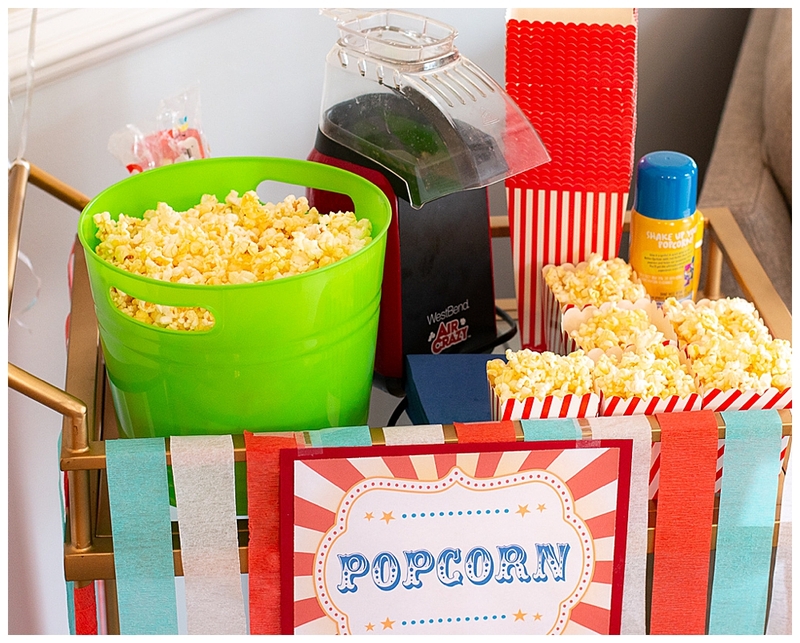 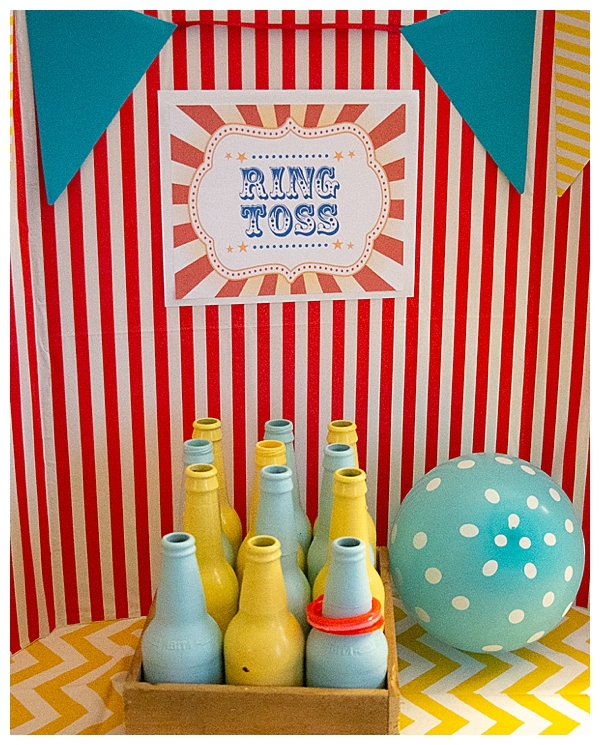 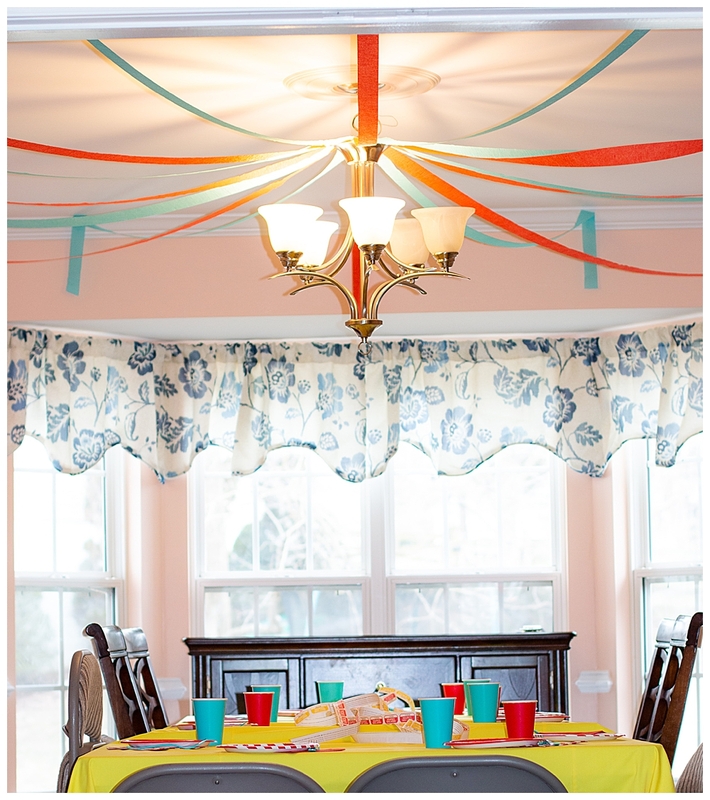 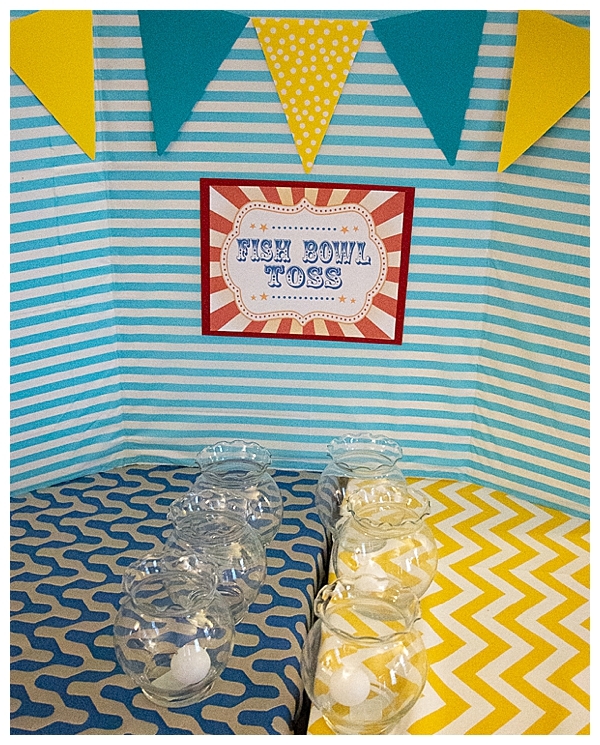 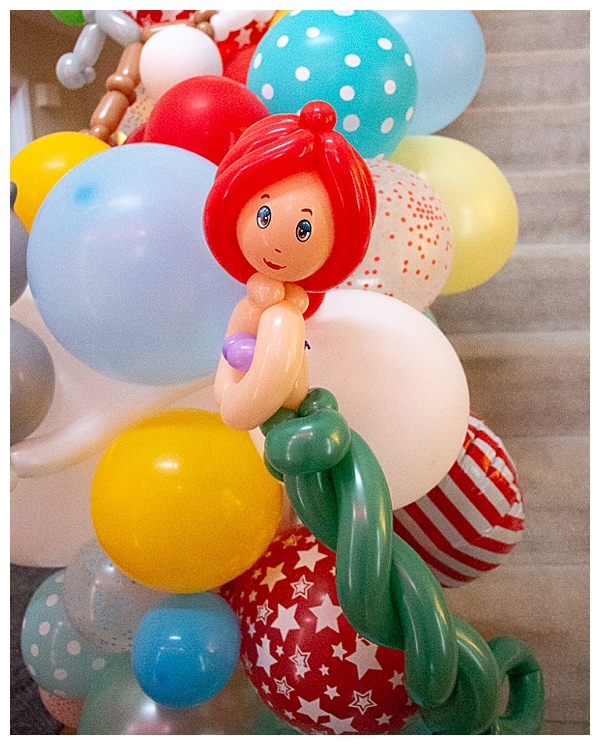 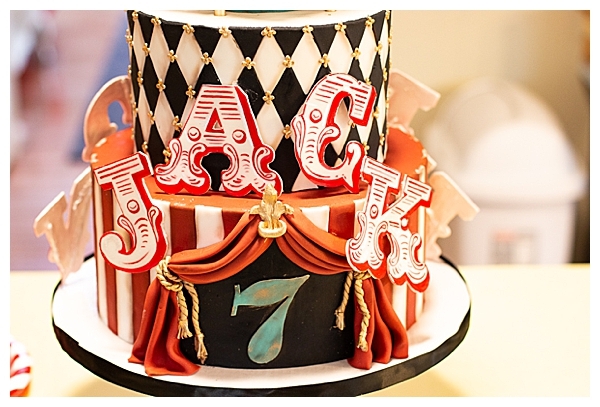 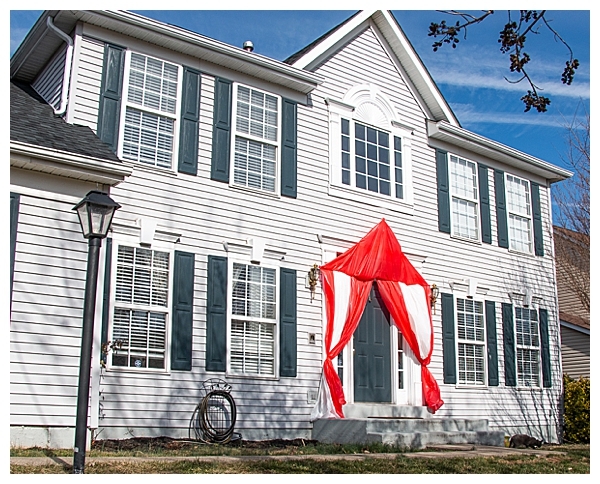 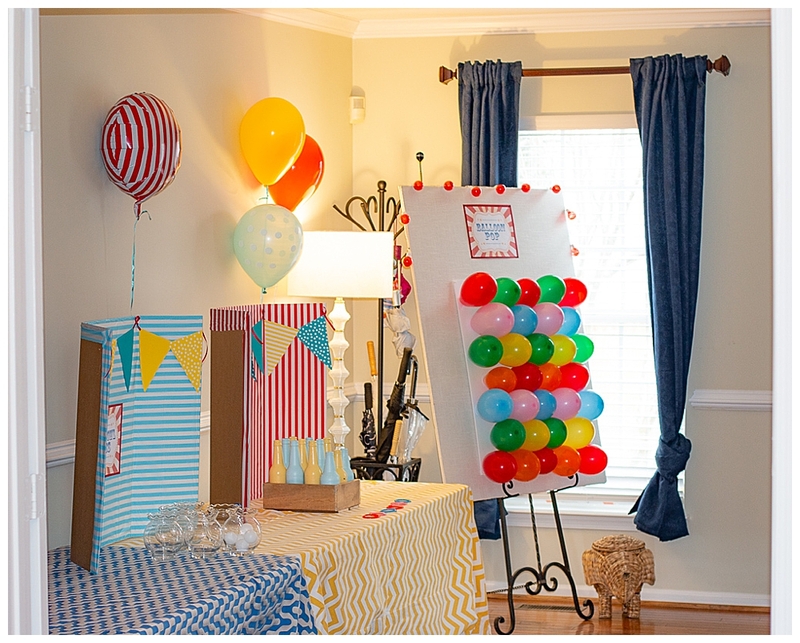 She utilized her planning skills to create a circus-themed birthday bonanza, complete with juggling acrobatics, balloon twisting and carnival games. 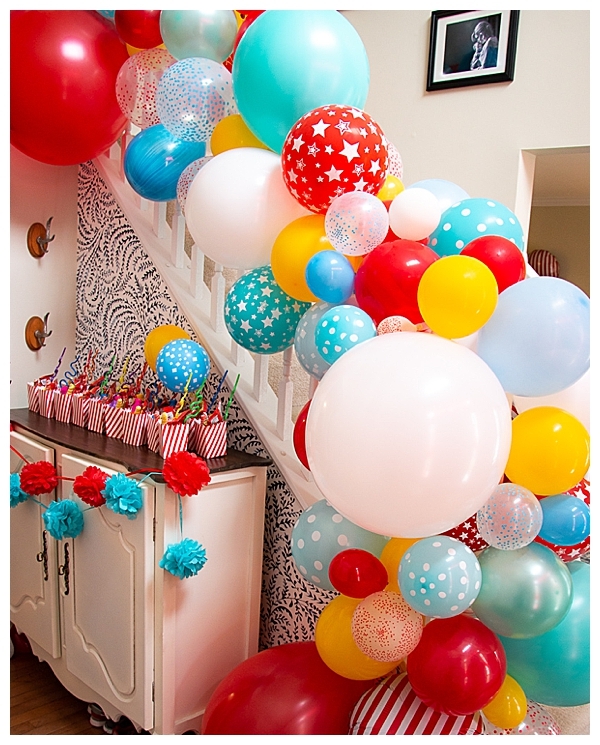 The oversized balloon garland on the stairs doubled as both a wow statement when guests entered and the perfect Instagram backdrop. 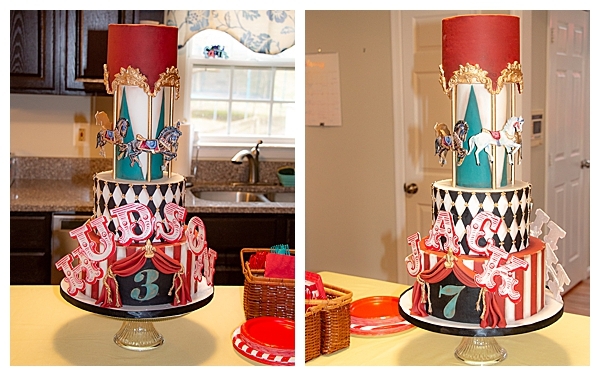 But the pièce de résistance was the magnificent birthday cake created by Fluffy Thoughts Bakery. 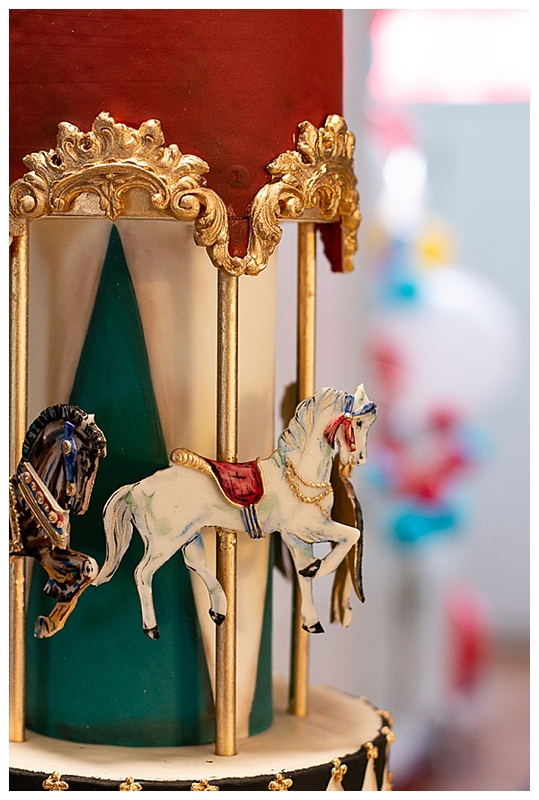 The delicate design featured hand-painted carousel horses, gold scroll detailing and double-sided features so each birthday boy could have their name on it. 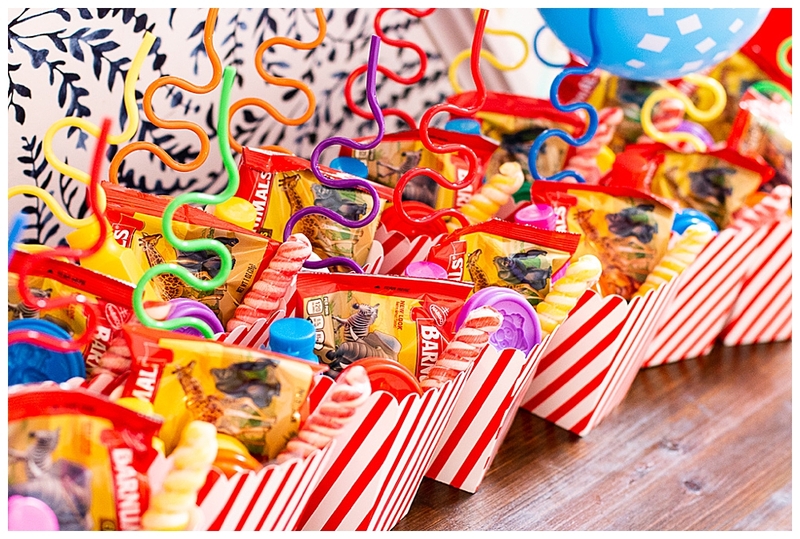 “The perfect treat for both boys,” says Tabitha.